I’ve been invited to be a guest at the ABC “The View From the Bay” booth on Saturday, September 27th from 1-4 pm. It is the official grand opening of the Academy of Science Museum (which is amazing!). Come down and see me, and enter to win a 2-day retreat to CordeValle, in San Martin California. CordeValle is a hidden gem, an incredible destination unto itself. 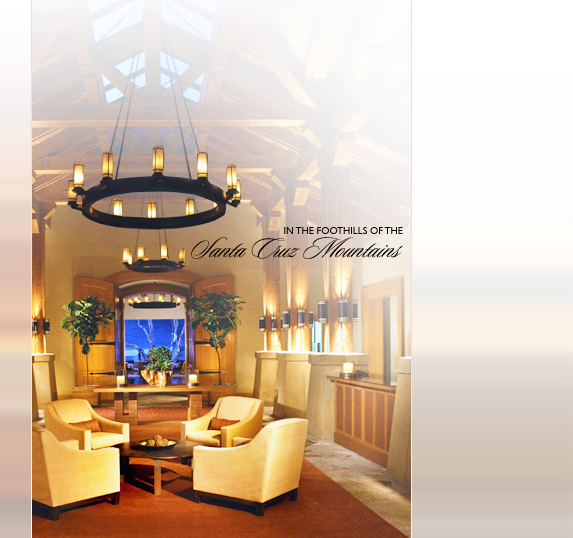 The boutique luxury resort is nestled against the eastern foothills of the Santa Cruz Mountains. You get there and youâ€šre so immersed in luxury and relaxation that you feel youâ€šre a world away from the frantic pace of urban life. CordeValle has spacious bungalows and villas, an extraordinary natural landscape, a full service spa, world-class golf, tennis, swimming, excellent dining, plus an on-property vineyard and winery (Clos LaChance) for private tastings, tours, etc. And, the prize is AMAZING: This gift certificate is redeemable for a Two Night Stay in a Bungalow for Two People, Welcome Amenity, Breakfast for two Daily, Choice of Activity: either One Round of Golf for Two including Cart (forecaddie not included but required), OR $325 Spa Credit, and Wine Tasting for Two People at Clos LaChance Winery (on property). Now, if you win, you can invite me!